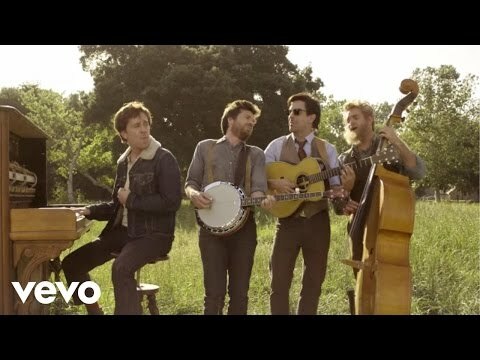 Black Dog Films director Sam Jones enlists an all-star comedy team for a little self-mockery from Mumford & Sons for their most recent video release “Hopeless Wanderer.” The clip opens with misleading establishing shots of what we presume to be the quartet performing in a pastoral field before the slow reveal of the band’s stand-ins, comedians Jason Sudekis, Ed Helms, Will Forte and Jason Bateman. A Naked Gun-style slapstick satire unfolds to reveal that the self-aware band isn’t afraid to poke a little fun at themselves. Everything from their signature Dust Bowl-era aesthetic to their passionate, multi-instrumental performances is fair game. The over-the-top antics from comedy’s finest include a rowboat serenade, a four-way cry-fest, bearded make-outs, and a rollicking banjo solo, to name a few, showing that that however old-fashioned Mumford are in style, they’re up for a taste of some contemporary American comedy.